Today my friends is National Coffee Day! I am not a huge coffee drinker, I prefer a nice cold Red Bull to perk me up when needed. With that said, sometimes my skin needs some perking up and this Cinnamon Coffee Sugar Scrub does the job in addition to leaving your skin silky smooth. I am a little addicted with making my own body scrubs. Not only does it cost a fraction to make compared to retail scrubs but it is also so easy to make. At Christmas I normally make this Peppermint Candy Cane Sugar Scrub for all the women in our families. With the cooler weather on the way our skin tends to get dried out. Exfoliating is so important for healthy glowing skin. This body scrub is gentle enough to use on your whole body, just steer clear of your eyes! 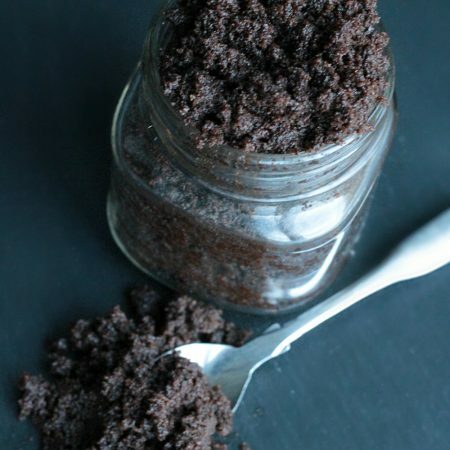 You can make this homemade cinnamon coffee sugar scrub in less than 10 minutes and with only 4 ingredients! For this recipe you will need some coconut oil, brown sugar (or white if that is all you have on hand), coffee grounds, and some ground cinnamon too. Once you measure out your ingredients you want to combine them all in a nice medium to large size bowl. Blend them really well to get out any lumps, brown sugar always tends to be clumped together! I personally split my coconut oil in half, melting one part and keeping the other room temperature. Once it is all mixed together you can place it in a cute little mason jar or a plastic container. I like mine in a mason jar, especially if I am gifting it to someone. When I give my girls theirs I prefer to use a plastic container. After a long day at work or running around after the kids, fill up that tub and enjoy a moment of peace – don’t forget to lock the door. Then just before you are ready to get out, give your skin a pick me up with this amazing cinnamon coffee sugar scrub! Your skin will thank you. Using a microwave safe dish melt 1/2 cup of coconut oil, 30 seconds should do the trick. 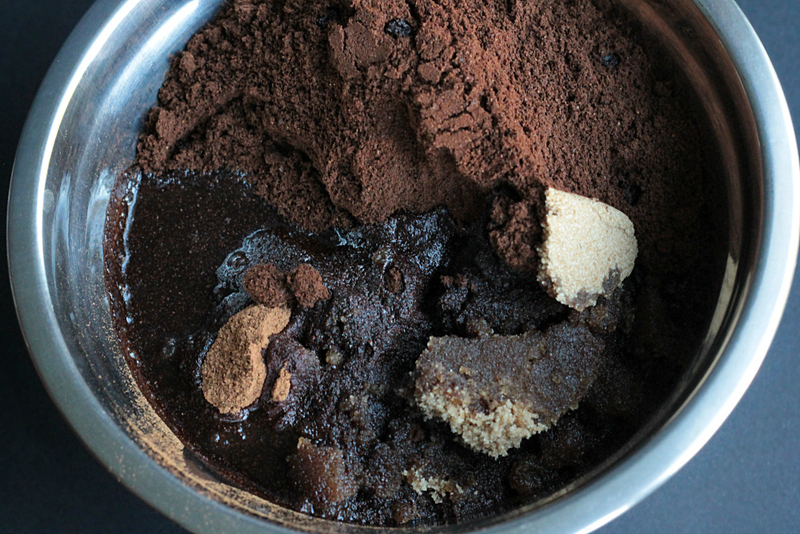 In a medium to large size bowl mix together your coffee grounds, sugar and ground cinnamon. If using cinnamon essential oil you will add it in step 5. Pour in your melted coconut oil and mix well. Next scoop in your 1/2 cup of room temperature coconut oil and mix well. If using cinnamon essential oil instead of ground cinnamon add in 4-5 drops and mix well. 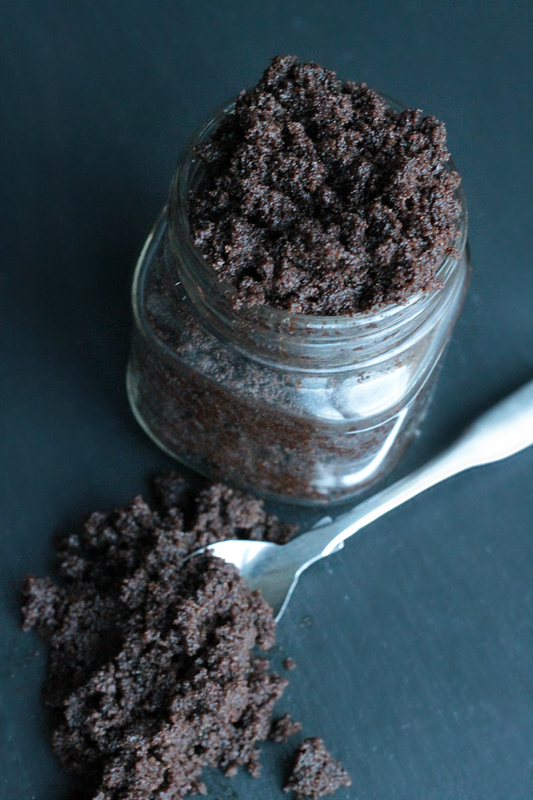 Scoop your cinnamon coffee sugar scrub into your desired container and keep it in a cool dry spot. Use within one week or keep in the refrigerator for up to 2 weeks. 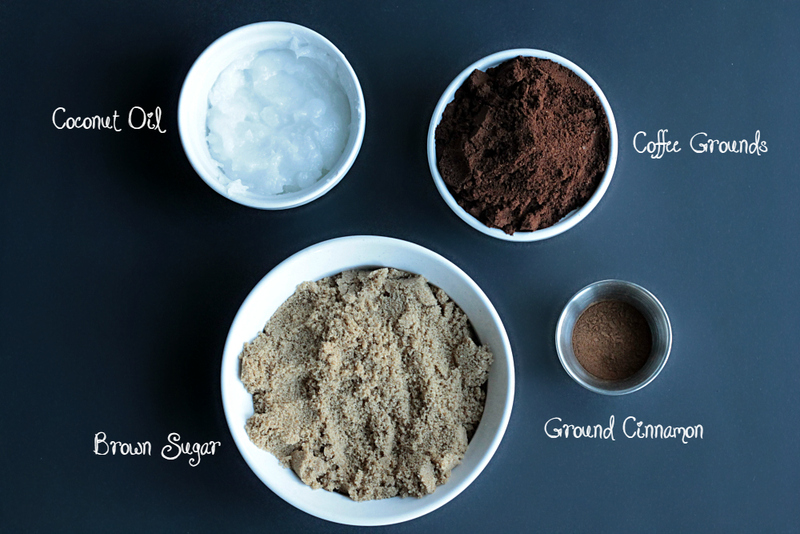 Let me know what you think of this homemade cinnamon coffee sugar scrub in the comment section below! I need to make this! LOVE the smell of coffee. Me too! I always walk down the coffee isle just to smell all the wonderful coffee! I love how easy (and cheap) it is to make my own body scrubs! This one smelled amazing and the scent lasted on my skin for a good day! I have blown through it all already! It was amazing. I think next time I will use a coffee that is flavoured for added smellicious LOL! Smells like a good idea! lol Definitely going to try this one for sure! I’ll have to try & not lick myself though! Thank You! I want to try this,i love the smell of coffee but i don’t like the taste!